Here is how to view the replays. 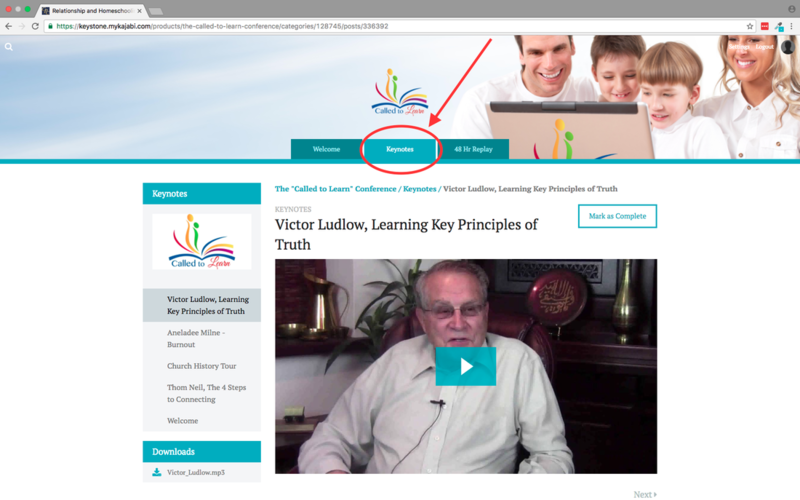 On the home page of CalledtoLearn.com, click the "Watch Replay" button. On the new page enter your login information. This page is your "Library" page. All courses you've signed up for will be shown. Click the "View Product button. This is your "Welcome" page. The tabs across the top are your category choices. 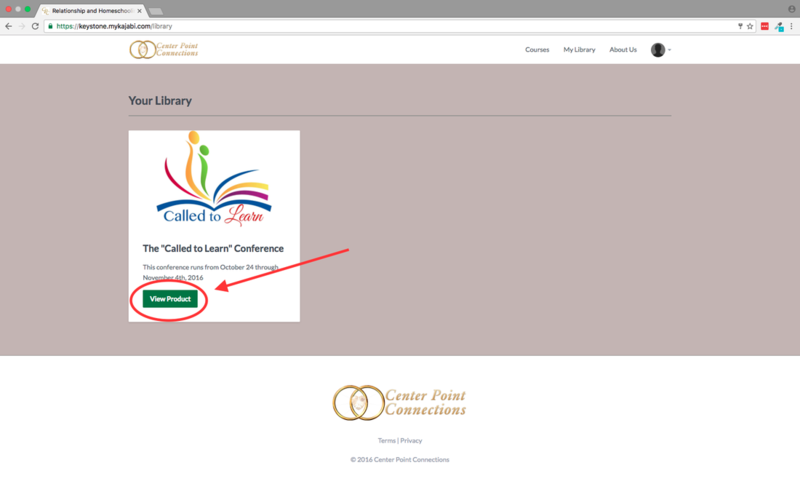 Keynote presentations are found here. 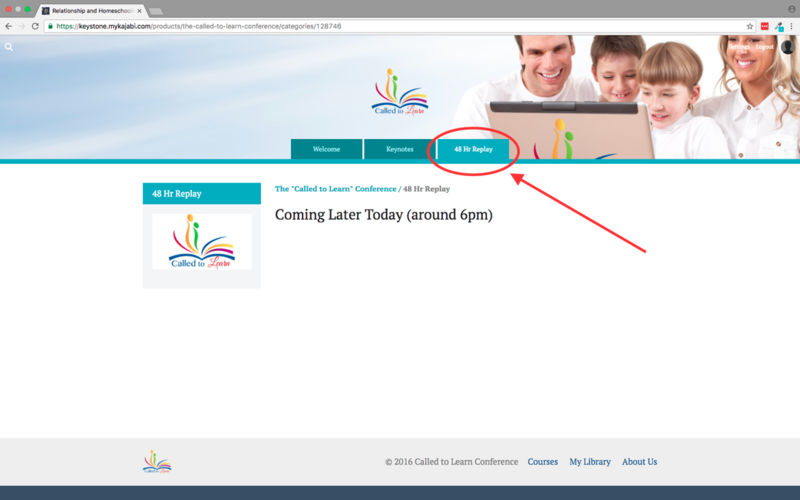 They are up available to watch throughout the conference, 24/7. 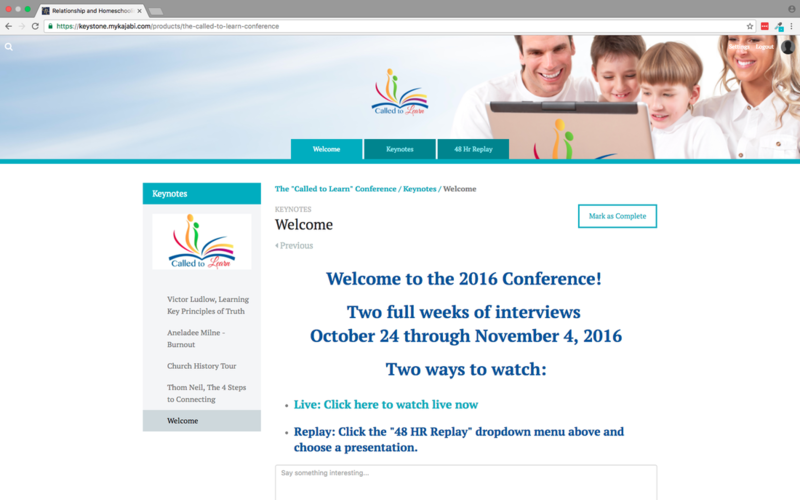 Replays of the rest of the presentations are found here under "48 Hr Replay". They will available beginning Tuesday Oct 25th about 6:00pm.